Michelle Green is a Management Consultant with 15 years’ experience in the Banking Industry. Initially, focused on Corporate and Investment Banking, Michelle has spent the last 10 years specialising in Retail Banking Strategy and has most recently led the Strategy team at ABIL as Head of Strategy and Research. Having Studied a Business Science Degree at UCT, Michelle graduated with Honours in Strategy. With a keen interest in the study of Corporate Law, Michelle decided to add an LLB degree to her qualifications and credits this degree with augmenting her strategic thinking abilities. Michelle is a strategic thinker who is always interested in determining how the different parts of a business organisation can be aligned around a common goal and therefore also specialises in developing useful metrics in order to measure those objectives. 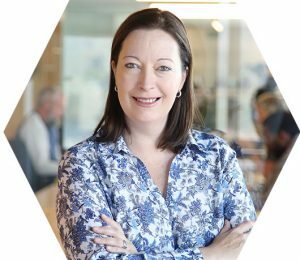 Believing that People are the key to any great strategy, Michelle also has extensive experience in behavioural economics and has led strategies for customer behavioural schemes at African Bank, Nedbank and American Express. Michelle’s background in both strategy and banking has resulted in her exposure to a wide variety of business solutions that are applicable to businesses of all sizes. Her passion for developing businesses and business divisions to meet their potential and targets using the right business strategy implemented with measured deliverables has resulted in a practical approach to strategy in way that has tangible impact. From People to Process, from Operations to Strategy and Marketing, all these elements are incorporated into an entirely bespoke solution for the business stretching to reach its goals.